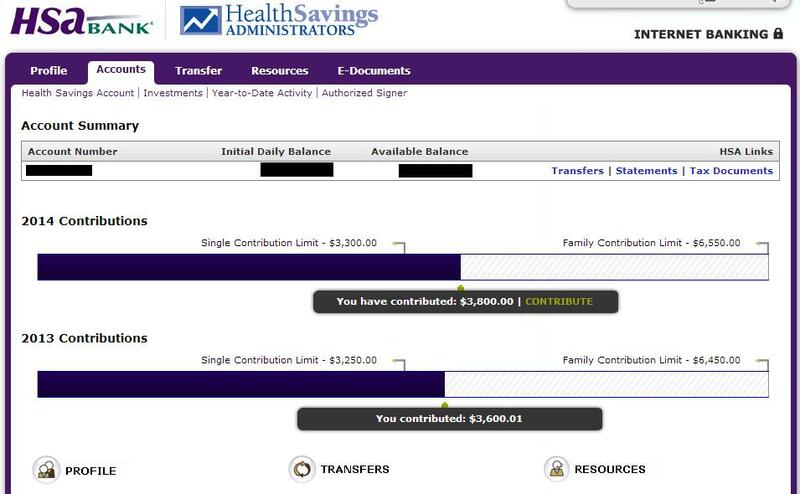 Health Savings Administrators in my mind is the best provider of an HSA Account. 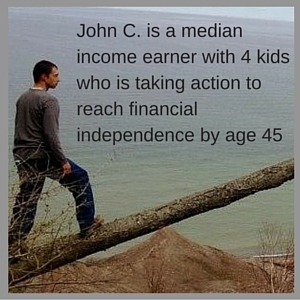 Last summer when Mrs. C. and I were looking to start our HSA we found Health Savings Administrators and upon learning about their investment options decided it was the best place to administer our Health Savings Account. Why is Health Savings Administrators So Great? 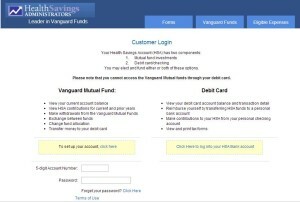 They offer low cost Vanguard funds to invest in and allows for first dollar investing. I don’t think there is another provider that does this. They do limit the total number of funds to 4, which can provide for a diversified portfolio in itself. I use the HSA account to supplement our other retirement accounts, so being limited to using only 4 funds isn’t a big issue. Health Savings Administrators also makes it easy to move funds between investments and cash, in order to pay for current medical expenses using a debit card linked to the account. When setting up an account with Health Savings Administrators they offer two options: Investment accounts and debit card accounts, you can choose to have both which is what I did. Currently we are funding half of our contribution into the debit card portion to spend on current medical expenses and the other half goes to investments. The vast majority of utilities can be accessed through the investment account log in. On this login you can add or delete investments, change investment allocations and view how much you have contributed over the year and what your current balances are. You can also transfer money from investments into your HSA Debit Card. The debit card functions are all hosted with HSA Bank. Logging on to this account you can access account statements that show all distributions, change automatic withdrawals from your bank account and download important forms, such as account beneficiary forms. One thing I don’t like about the automatic investment portion is that you can’t just enter an end date or select “forever” on how long to make contributions, you physically have to scroll through every month. I know it sounds a little complex, but overall using the system is fairly straight forward. 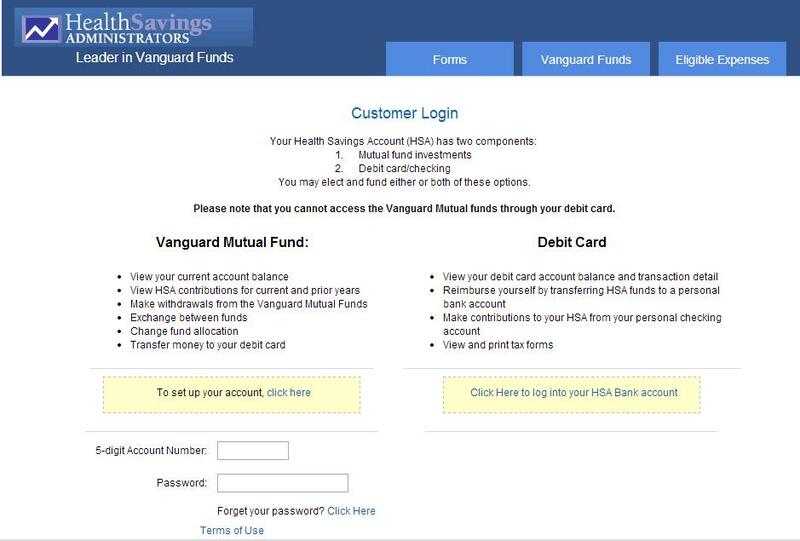 Because Health Savings Administrators offers Admiral Shares of Vanguard funds, which normally you would have to have a minimum account balance of $10,000 or $50,000 depending on the fund, using Health Savings Administrators saves a bit of money on these fees. For the only fund I am invested in my HSA Vanguard Midcap Index Fund, the Admiral shares have an expense ration of .09%, while the investor shares have an expense ratio of .24%. Saving .15% doesn’t seem like much, but hey, every cent counts! Ideally, within the next year, we should be able to pay for all health care expenses out of cash flow, and invest 100% of contributions. 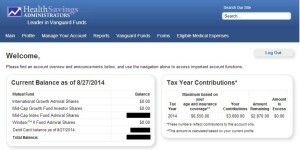 Overall the goal is to use the HSA as an IRA. At age 65 funds can be withdrawn penalty free for non-medical uses, and medical uses, including paying for long term care insurance will be tax free. 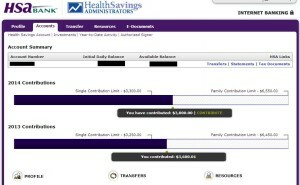 The HSA is an awesome tool and plays a large part in our overall financial plan. Do you have an HSA? Who do you use as your account administrator? One Response to "Managing an HSA with Health Savings Administrators"
I called earlier this week and they said that you can pay the $45 fee outside of your contributions. 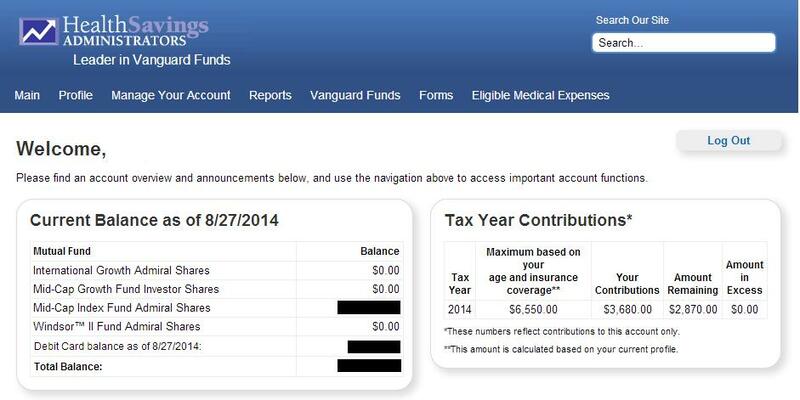 So if you’re maxing out your HSA send an additional $45. You can’t do that with the vanguard portion of the fees tho unfortunately.